A blocked drain is never a pleasant experience for anyone. Luckily, we at Genesis Drainage provide drainage unblocking in Gloucester immediately and at an affordable price! There are many possible factors, which may cause a blocked drain, which most would not be aware about. This is why we are here to help, as an efficient drainage system is vital for all domestic and commercial premises. Our aim is to ensure that the blocked drain is resolved as quickly as possible, with our staff working hard for this to be achieved, without causing much trouble. At Genesis Drainage, we provide drainage unblocking in Gloucester for homeowners and corporate businesses in the area. A blockage at home can potentially be hazardous for those living there. Our team can assess the drainage and provide a quick solution for any blocked drain, whatever the cause, and can unblock everything, from sinks to baths, as swiftly as possible. Also, we can provide the same service to corporate clients; from drain cleaning to insurance services, we are here to help! At Genesis Drainage, we also provide CCTV surveys, which are an extensive, resourceful way to find out what has caused the blocked drain but also underlines minor warnings, which may become a serious problem in the future. We pride ourselves in providing the best quality service any other drainage unblocking company can provide. A trusted company established for 40 years now, we at Genesis Drainage can solve the problem to any blocked drain, with many years of knowledge and experience at hand. We train our staff with the finest expertise so our clients are never dissatisfied with the service. 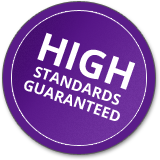 We are known for our high standards, with our staff maintaining this standard, so our clients can feel confident with the help we offer to them. We also can adapt our services to their obligations, making sure our clients are pleased! If you have a Blocked Drain in Gloucester, get in touch with us. – Genesis Drainage has 40 years of experience in the drainage industry and can offer an extensive range of drainage services for both domestic and commercial premises. – All our clients can also take advantage of our 24 hours a day service and our free call outs, catering for everyone’s’ preferences. – Although our services are of a high quality, they are all at an affordable price and carried out with minimal disruption, going the extra mile for our clients. – We are a well established company with all our services guaranteed, so if you need drainage unblocking in Gloucester, give us a call now!